“We are really going at this problem from every possible angle,” Facebook co-founder and chief Mark Zuckerberg said of efforts by the social network to make Internet connectivity more widely available around the world. The technology “incorporates attributes and industrial design required for fast, attractive and affordable deployment across cityscapes,” Neeraj Choubey and Ali Yazdan Panah of Facebook said in ablog post. 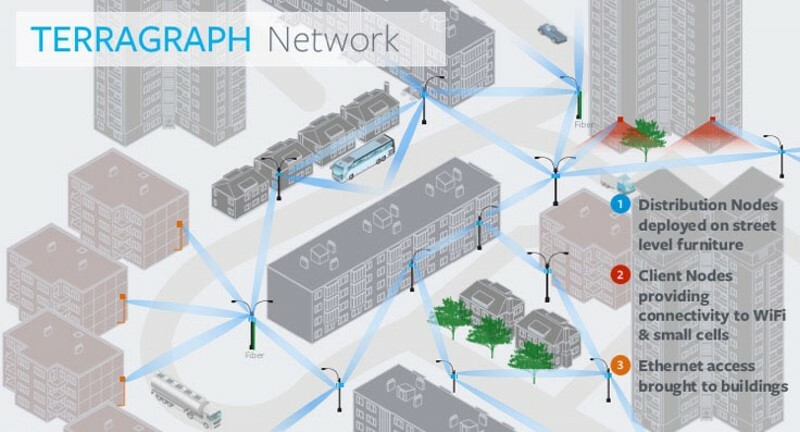 Terragraph “nodes” can be mounted outside high-rises or other big buildings and connected to Internet connections inside. “We are interested in developing this technology to harness the incredible gains in providing communications to rural communities from city centres,” Choubey and Panah said. “Moreover, we would like to make this technology open to the wireless communications research and academic community,” the blog post said. Facebook’s mission to connect the world has included building solar-powered Aquila drones capable of transmitting data using lasers. “If you had told me 12 years ago that we were going to be building a plane, I would have told you that you are crazy,” Zuckerberg said as he showed off a lightweight piece of a drone during a keynote presentation. Facebook estimates that more that four billion people don’t have access to the Internet for reasons that include access and cost. As part of an often-shared long-range vision of letting people anywhere share whatever they want with anyone using the Internet, Zuckerberg on Wednesday announced the creation of a “Building 8” team devoted to building new hardware products for connecting the world. “I’m excited to have Regina apply DARPA-style breakthrough development at the intersection of science and products to our mission,” Zuckerberg said.